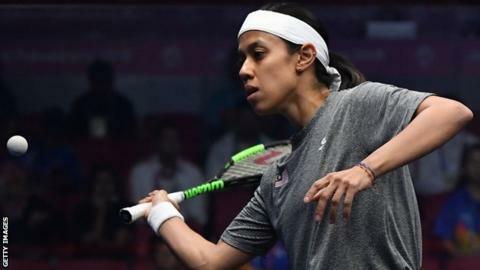 Malaysian squash great Nicol David says she only has "one big push left"
Eight-time world champion Nicol David has announced she will retire at the end of the current squash season. The Malaysian, 35, is one of the most successful players of all time and was world number one between 2006-2015. "My mind and body have battled it out to stay at the very top for such a long time that I feel that I only have this last big push left," David said. Her final tournament will either be the British Open in May or June's World Tour Finals, if she qualifies. David will begin her bid for a ninth world title when the competition gets under way in Chicago on Saturday. She has previously won five British Open titles, two Commonwealth Games gold medals, five Asian Games gold medals and three World Games gold medals.